This is a vlog to encourage everyone to be proud to wear their Scout Uniform and not be embarrassed. Some people might really like the traditional Scout Leader uniform, but other folk would feel more comfortable wearing jeans and a hoodie. So why do we have to wear a Scout uniform?. The uniform is how as Scouts we show that we are part of something bigger than just our Scout Group that we attend each week. There are a number of non-uniform Scouting roles such as the Group Chair, secretary, treasurer or even the Quartermaster for example. When I first started as a Scout Leader just under 10 years ago, I was reluctant to wear the uniform in public just encase I was spotted by my neighbour or non Scouting friends. I thought everyone would be looking at me and making jokes about what I was wearing, but as the years have gone by, I feel completely different now when wearing my Scout Leader’s Uniform. I feel proud of wearing it and belonging to a worldwide family. I’ve also had member of the public stopping me and talking about their experiences of when they were a Scout back in the day, I’ve even had people ask how they can volunteer. 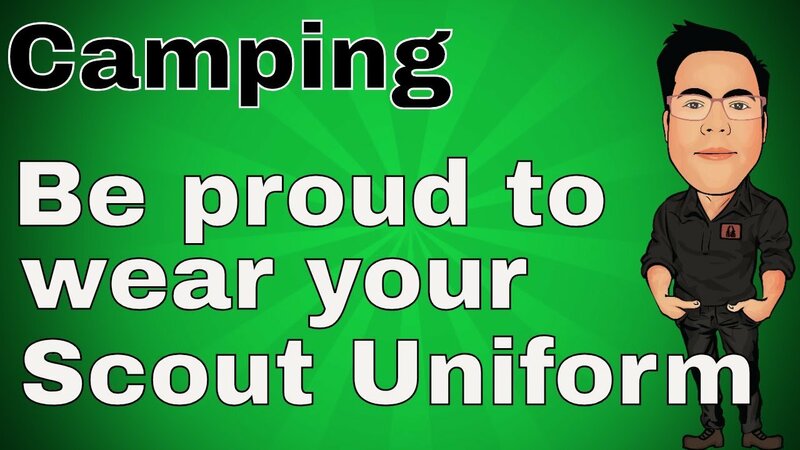 In my Scout Group, each patrol gets marked and awarded points for how smart their uniform’s are, are their shoes polished? Is their scarf ironed and rolled correctly with their woggle facing the correct way up, if we expect our young people in our sections to turn up each week wearing the clean smart uniforms, then so should be — The Scout Leader’s. The scouts in my Troop look up me, so I need to set a good example. Wearing the uniform shows the scouts that you are one of them. While the uniform might not be the most flattering and fashionable item in my wardrobe, it’s still a cool and proud uniform that I own. So, the next time you wear your Scout Leader Uniform, don’t wear it with embarrassment and cover it up, wear it with proud, wear it with a smile and remember the reasons why you volunteer as a Scout Leader.